After World War II, farmers in Lace, Illinois, began selling lots to individuals who wanted to leave Chicago to live in the country. 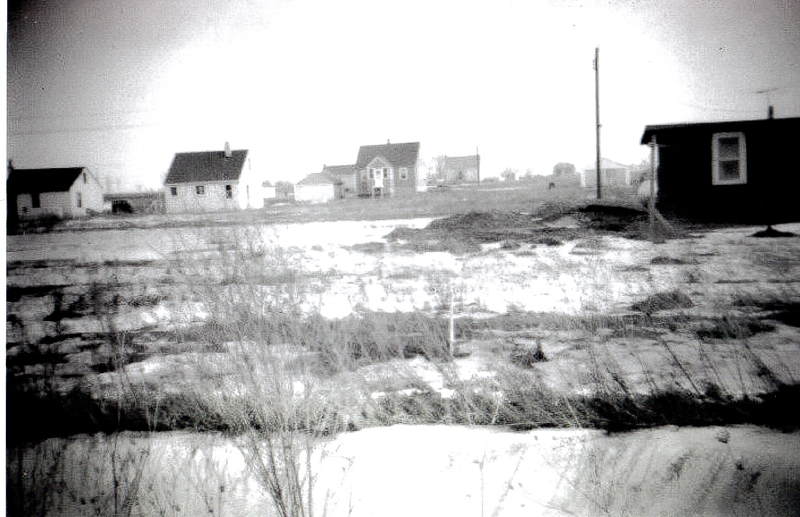 Marion Hills was the first community to emerge as Lace began transitioning from farmland to residential housing sites. Most of the homes in Marion Hills were shell-constructed and the homeowner completed the building project. Marion Hills covered about two and a half square miles bordered by Route 83, Clarendon Hills Road, 67th and 75th Streets. Homeowners formed civic and social organizations to improve their burgeoning community. In 1949, residents created the Marion Hills Civic Association to address the lack of municipal services and to provide adequate education for their children. Women who lived in Marion Hills formed the Pioneer Club for socializing and for raising money to support local projects. 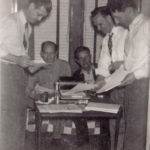 From 1950 to 1958, members of Marion Hills published mimeographed copies of The Village News to keep residents informed and connected. The Village News later expanded its coverage and circulation to nearby communities of Lace, Tri-State, Palisades, Countryside and Tiedtville. One of the first issues the Marion Hills Civic Association tackled was the need for a nearby school for their children to attend. The existing school, Lace, was a one room schoolhouse built to serve local farm children. Its facilities could not accommodate the student population which by 1949 had grown to around 60 students. To deal with the overcrowding, half the students attended Lace School in the morning, and the other half went during the afternoon. Parents were also concerned for their children’s safety as they walked almost one and a half miles along busy roads to reach Lace School. Rather than expand Lace School, homeowners pushed to have a new building constructed at a location closer to their homes. In 1949, Marion Hills residents passed a referendum to purchase land at Eleanor Place and Plainfield Road to build Marion Hills School. The school opened with four classrooms and a basement gym; enrollment in 1952 was 53 boys and 46 girls. Members of the Marion Hills Bible Church used the school gym to teach Sunday school. Church members worked tirelessly to construct a building which they completed in 1956. The church was located on Plainfield and High Roads across from the school. A steeple and additional Sunday school rooms were added later. In 1956, homeowners approved the construction of Lace-Marion Hills School to serve students from fifth to eighth grade. The building opened in 1957, and was located just north of the Lace schoolhouse. Students in first to fourth grade attended Marion Hills School; together the schools were known as Lace-Marion Hills. Older students attended Hinsdale Central High School until Hinsdale South High School opened in 1965. Parents not only worked hard to provide their children with a high quality education, but to also provide them with recreational activities. In 1959, a group of fathers formed the Lace-Marion Hills Youth Club which was a baseball league for boys. The Lace-Marion Hills Band Parents’ Association supported band activities such as participation in the Fourth of July parade. Although residents succeeded in creating schools and recreational activities, the Homeowners Association struggled to provide residents with adequate municipal services. In 1955, the first of several referendums to incorporate failed. Property owners established the Marion-Brook Sanitary District in 1963 to oversee the replacement of septic systems with a sewer system. The following year, the Village of Willowbrook blocked another attempt by Marion Hills homeowners’ to incorporate; efforts to be annexed to the Village of Willowbrook also failed. 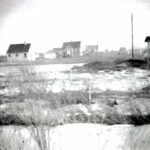 From the 1950s to 1960s, additional housing developments and subdivisions began to populate what had once been Lace farmland. As the area’s population increased, so did the need for additional services and schools. 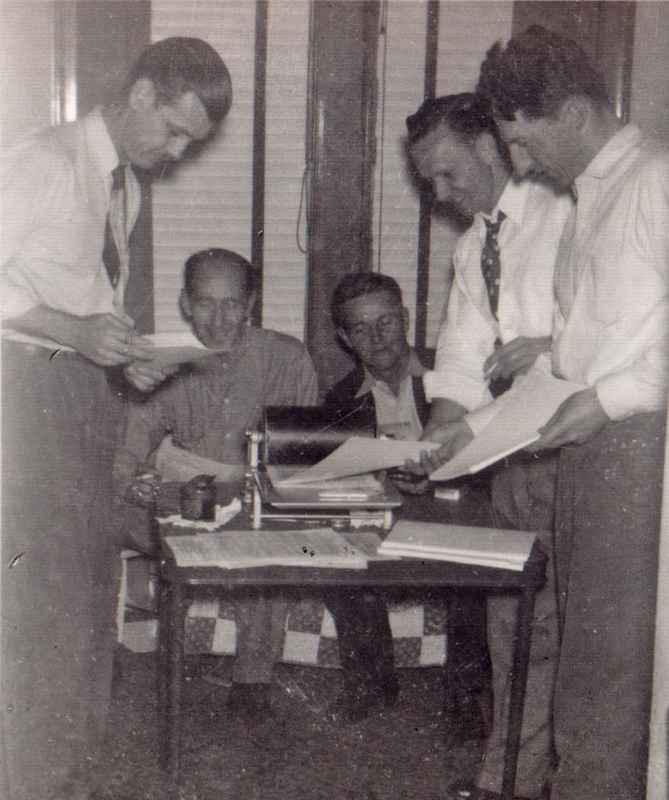 In 1968, the Marion Hills Homeowners Association joined representatives from Brookhaven, Hinsbrook, Clarefield, and Knottingham homeowners’ associations to form the Combined Homeowners Study Group to investigate the options of incorporating, annexing to another village, or remaining unincorporated. The study group decided to pursue a referendum to incorporate as a city. The ballot for the referendum on incorporation required a unique name for the new city. Sam Kelley, President of the Marion Hills Homeowners Association and member of the Combined Homeowners Committee, suggested naming the proposed city “Darien.” Kelley had recently visited Darien, Connecticut which he thought was a pleasant place. After a closely contested vote, Marion Hills became part of the newly incorporated City of Darien on December 13, 1969.